I've really enjoyed working on this Stack-n-Whack variation. The Moda fabric is a joy to use and the colors are beautiful. 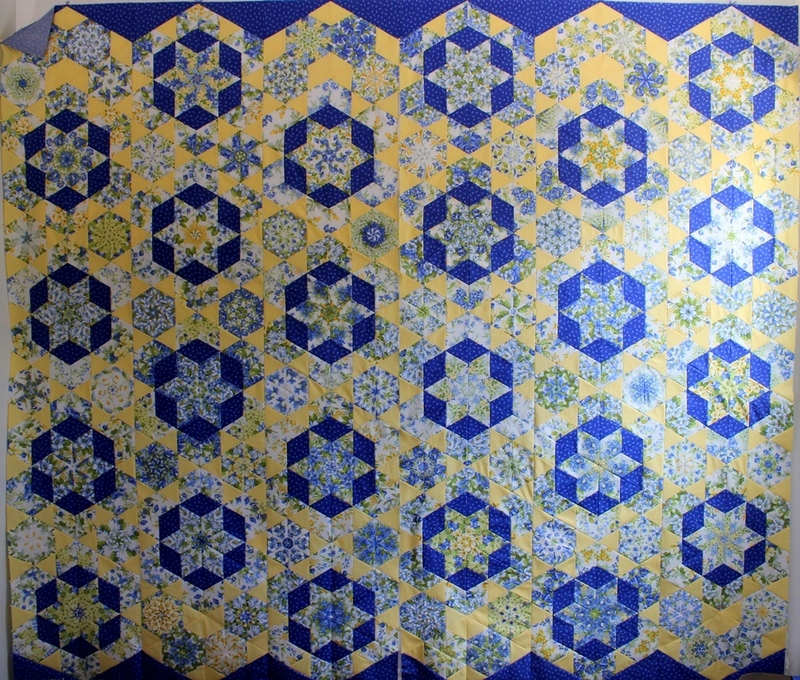 I wasn't sure I could ever use yellow again after my quilt-from-hell, but I really like it here - especially with the blue border. I added an extra row to make it wide enough for our queen-sized bed. I will add a narrow blue border instead of the usual 6-inch border. The back will be either the blue or the flower fabric that I used for the kaleidoscope blocks. I also plan to make a couple of pillow shams.